Ladies, let’s admit, long stunning hair is attractive to everyone! No matter what, long hair has always been a symbol of feminine beauty. Whatever trends prevailed when it comes to hairstyles she never goes out of style. But what to do when you have thin hair that simply can not reach the desired length, or if you have your hair cut short and so you miss the long curls and waves or just want to experiment a little with your hair? Many of us mother nature has not endowed with ecstatic hair that grows fast and healthy. But there is a simple alternative – extensions in your hair! Any other celebrity uses them, so why would not you! Why should you use extensions? Because with the extensions will feel like a supermodel. Imagine getting an instant desired length and volume of hair – you would definitely feel formidable. If you have any uncertainty with his current length and shape hairstyles, or you are in a transitional period between the short and long hair when absolutely nothing you can do with your hair, extensions can really contribute to self-esteem. Therefore, I present an excellent online store which offers a wonderful selection of hair extensions. It is a OMGNB. They has a large assortment of both, at super affordable prices. Their specialty are real human hair pieces. For example they have an array Clip in Hair Extension made of real human hair. They are available in variety of fantastic colors with a natural feel. Clip in hair extensions are really easy to use and that’s why it’s the first choice of women when it comes to hair extensions. They come in different sizes from 16 to 32 inch. Afro curl, body wave, deep wave, curly, loose wavy, wavy and straight, they have all them available. The great thing about the inserts! Want new strands in your hair, or you can avoid painting? Buy extensions that are two or three shades lighter or darker than your natural color and problem solved! The best thing about the extensions is the ease of putting them. Nearly all come with a clip buckle that easily attaches to the hair roots and stands firmly so no worries that it will drop. Set up is quickly, literally one click. And they are far cheaper than upgrading hair in the salon, and while you can put them and take off whenever you want! Human Hair Ponytail is one of the easiest ways to change your hairstyle. They come as clip in or wrap around, in variety of lengths from 14″ to 32″. 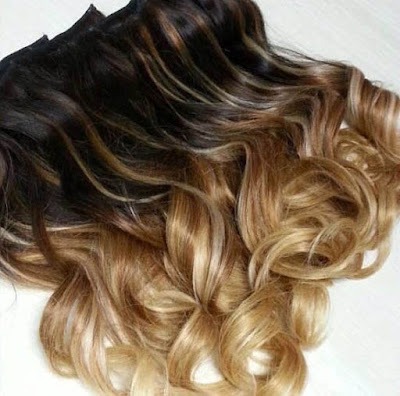 They are available in different colors: jet black, natural black, ash blonde, strawberry blonde, white blonde, bleach blonde, dark brown, medium brown, ash brown, as well as red. You can choose between wavy, curled or straight style. 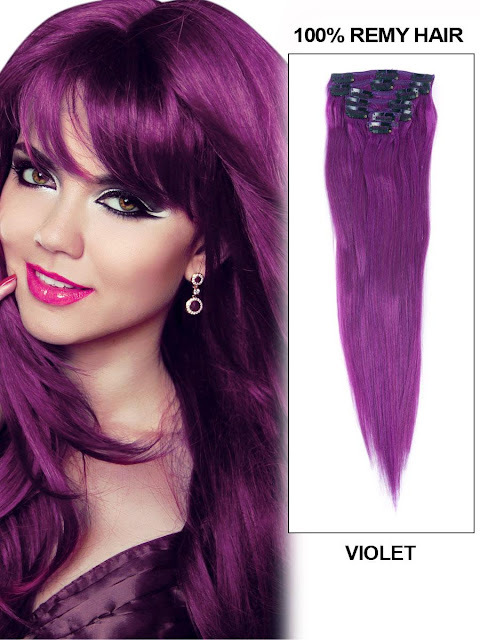 Also, you can see Micro Loop Hair Extension, and find the favorite color and length. Enjoy in your hair with OMGNB!